Grand Turk Island is the largest island in the Turks. It is the administrative, historic, cultural and financial center of the territory, and has the second largest population of the islands at approximately 3,720 people. Cockburn Town is the territory's capital. 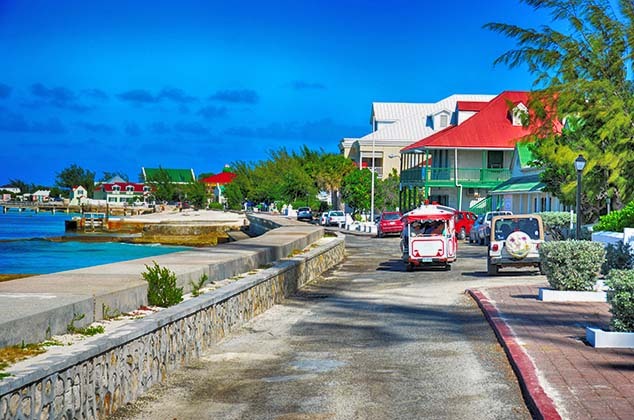 The Turks and Caicos Islands as a whole are a British Overseas Territory consisting of two groups of tropical islands, the larger Caicos Islands and the smaller Turks. The Turks and Caicos are a leading international investment center for the offshore investor. The islands are a (zero tax) jurisdiction and therefore have no taxes on income, capitol gains, corporate profits or estates. In addition, tourism is a major business here; the seven mile Grace Bay Beach on the Island of Providenciales is rated by travel experts as one of the best beaches in the world, and all inclusive resorts, fishing, snorkeling and scuba diving are major draws. 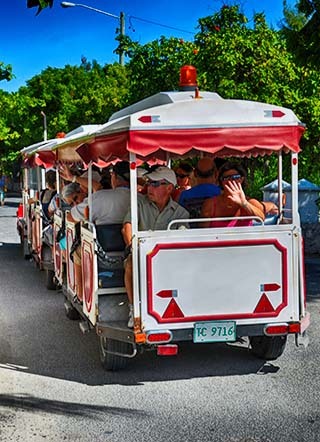 You can experience Grand Turk from a unique perspective on a touring wheeled road train, but it's a bit pricy. 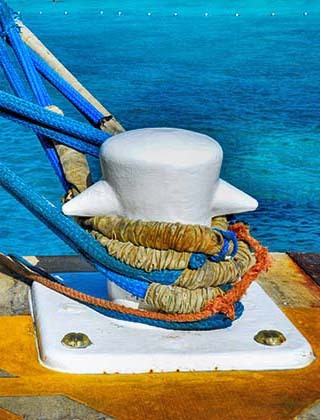 Cruise ship tie down ropes. 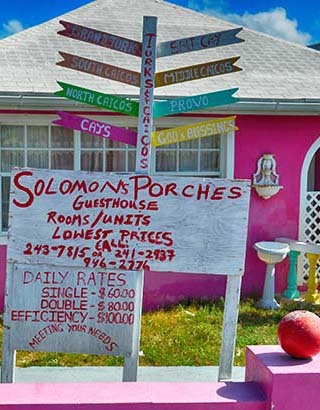 A colorful guesthouse on Grand Turk Island. 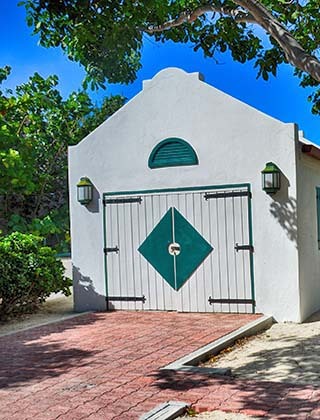 An impressive garage on Grand Turk Island. 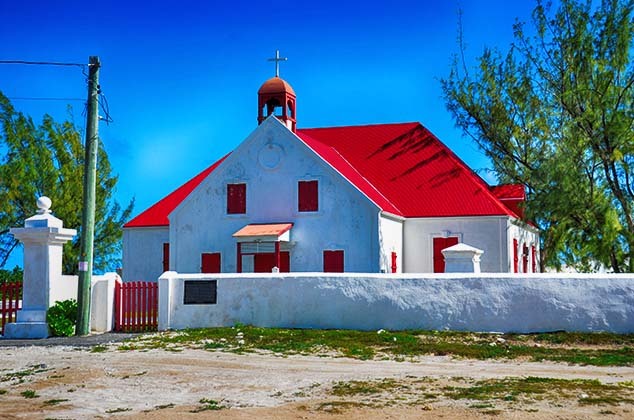 Established in 1899, this is the historic St. Mary's Church, Cockburn Town, Grand Turk Island. 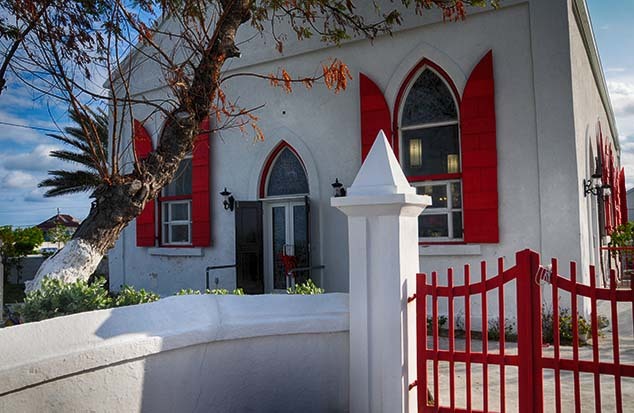 St. Thomas's Anglican church on Grand Turk Island. Looks like a happy place to me. The main street in Cockburn Town, where souvenir shops can be found, as well as a few local restaurants. 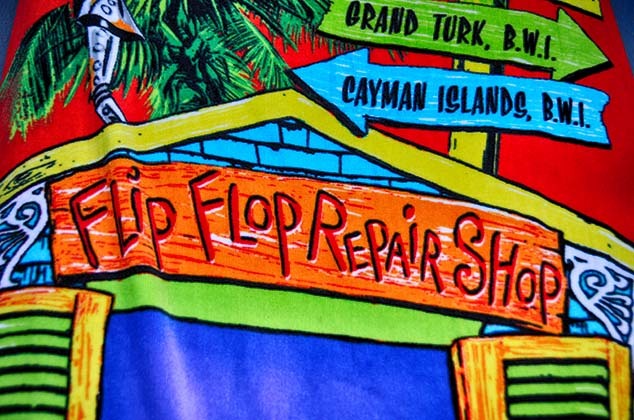 Flip Flop Repair Shop on Grand Turk Island. Actually, this sign is found within Jimmie Buffett's Margaritaville Restaurant complex in the cruise ship welcoming center. 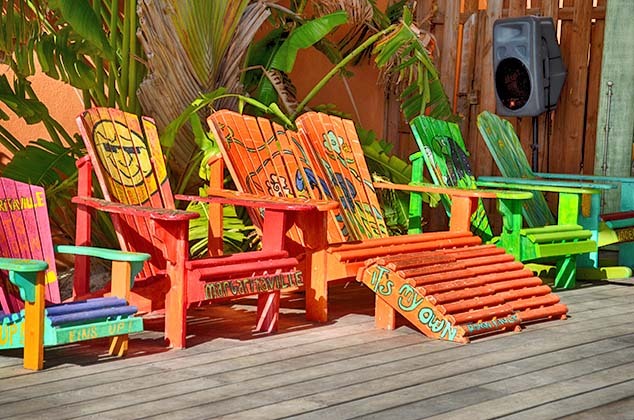 Colorful deck chairs for sale on Grand Turk Island inside Jimmie Buffett's Margaritaville Restaurant complex. And yes, they will ship you the chair of your choice. 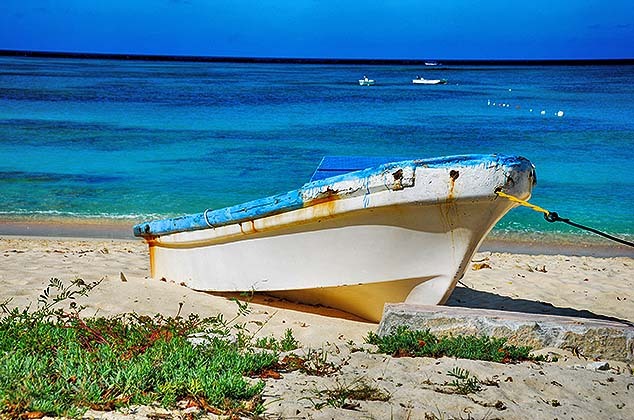 A solitary fishing boat along the beach on Grand Turk Island. Note the tranquil blue waters. 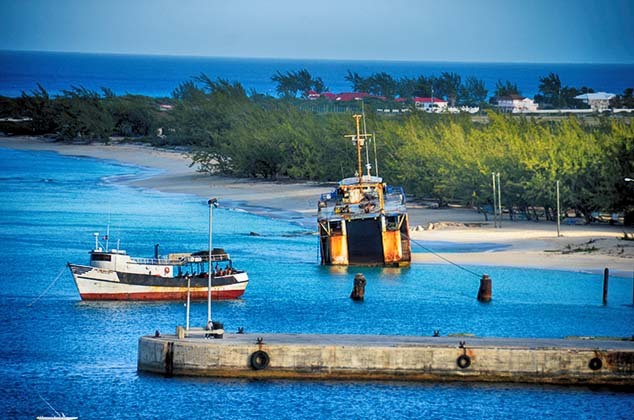 On the western coastline of Grand Turk Island, an old tug rusts away in the sand. 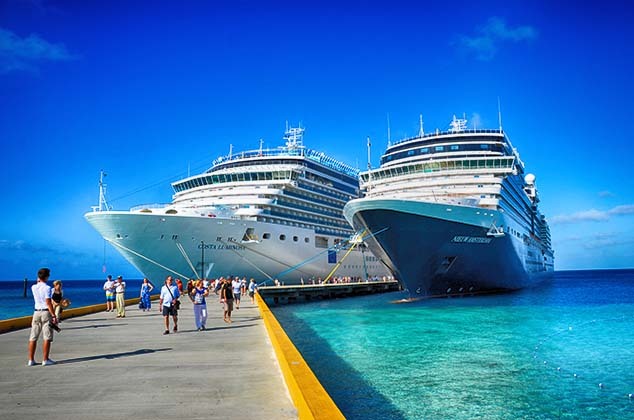 Cruise ships bring thousands of passengers to Grand Turk Island each year, and the money those visitors spend have a major impact on the local economy.